Dr. Grace J. Rebollos and the Elementary pupils of WMSU-ILS assist Hon. Climaco in lowering down the time capsule on the site where the multi-purpose building would soon rise. “Western Mindanao State University has been very lucky for having been allotted an P8million budget for the Multi-Purpose Building” thus stated the former Dean of the College of Physical Education, Recreation and Sports (CPERS) Dr. Ricardo Danilo Corteza who took the initiative of proposing the said project. The First Congressional District Representative of Zamboanga City and concurrently seated the Deputy Speaker for Mindanao in the House of Representatives, Hon. Maria Isabelle Climaco-Salazar pushed for the approval in the Philippine Congress of the proposed building to be constructed at the WMSU grounds. With the permission and recommendation of the University President Dr. Grace J. Rebollos, Dr. Corteza initiated the proposal of the said project to the good lawmaker Hon. Climaco in mid 2009. Subsequently, Climaco instructed Corteza to do the necessary paper works and formalities for the project to be officially submitted as proposal to the Philippine Congress. Eventually, said project has been approved and is now nearing construction. 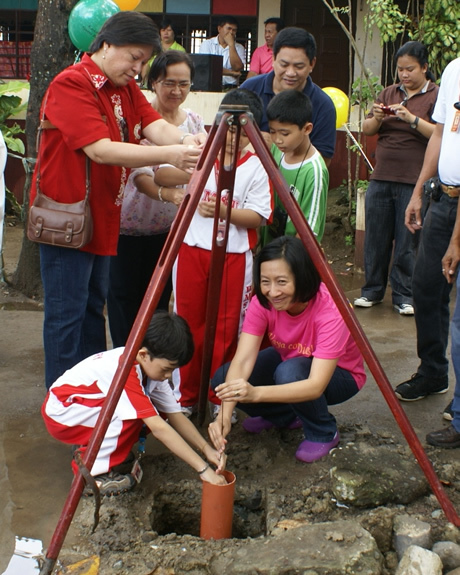 There was a ground breaking ceremony last December 3, 2010 at the site where the building would soon rise near the Elementary Department of the Integrated Laboratory School. Among those who graced the ground-breaking were: Hon. Climaco, Dr. Rebollos, the Vice Presidents – Dr. Milabel E. Ho, Dr. Felicitas F. Falcatan and Dr. Loyda A. Bangahan; Dr. Corteza along with some College Deans; Dr. Lea U. Laput who served as the emcee; members of the Board of Regents; the Directors of different offices; and guests. Fr. Angel Angeles presided over the blessing of the said site. “The proposed multi-purpose building will basically include a gymnasium, a covered basketball court, a fitness gym, and a dance studio, among others together with the facilities and other equipment to cater to the needs of the whole university” Dr. Corteza added. Corteza disclosed that the use of the building and its amenities will be open for everyone in the university, students and employees alike provided proper reservations will be made to ensure that the on-going classes nearby would not be disturbed. Another project which Corteza is currently seeking approval is the high-end sound system to be utilized in the said building. He said that this will be a project from different entities and personalities outside the University who are willing to help and donate. He emphasized the vitality of having state-of-the-art sound system especially during big programs and affairs of the University. The new site was selected for its wide space and conducive environment for the sporting activities both of the students and the employees in the University. The growing number of WMSU clientele is the very reason why this project was initiated.